In today’s digital world, competition is greater than ever before. Consumers are hungry for quality information but the sheer amount of content being created has the the power to over saturate, numb and underwhelm your target audience. However, with ubiquitous connectivity and devices enabling passionate experts to create influence and community, brands can tap into the streams of those empowered to publish in order to create mutual value. 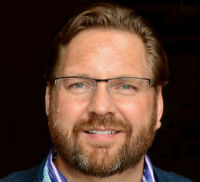 On September 3, 2015, TopRank Marketing CEO Lee Odden will be presenting a live PRSA webinar titled: Participation Marketing: Tools & Tactics for Crowdsourcing Content With Industry Influencers & Your Community. – Learn what kinds of content works best for co-creation. – Be able to identify, qualify and recruit influencer contributors. – Understand the top tools for influencer marketing management and content promotion. 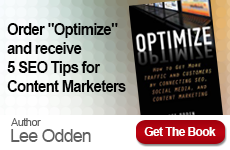 – Learn about measuring and optimizing crowdsourced content performance. 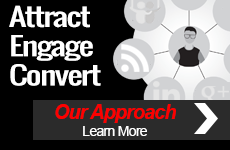 Begin creating more value for your customers today by taking the first step towards uncovering the participation marketing possibilities for your organization. Join us on September 3 at 3pm EDT as Lee Odden provides valuable insight into giving your customers what they really want.